Chief of Surgery Zoran Djordjevich, or “Dr. George” to most clients and staff, is a native of Yugoslavia. Growing up on a farm, his aspirations of being a veterinarian came at a very young age. He acquired his veterinary medical degree from the University of Belgrade in 1990 and then trained at the Royal Veterinary College in London, England. His persistent quest for innovation has always lead to improvement in his approach and technique paving the way for his great accomplishments in veterinary surgery. Dr. Djordjevich has the distinct honor of being the first veterinarian in the U.S. to implant the Helica Total Hip Replacement (THR) Systems’ smallest acetabular 24 mm screw cup implant in June 2010. Today, this improvement has been NATIONALLY accepted as the standard for the Helica procedure. Dr. Djordjevich has achieved extremely favorable results for both his patients and clients. The enhancement of the THR surgery by infusing the implant area with Adult Stem Cells to improve recovery, reduce implant rejection and to stimulate bone formation around the implant is another example of his quest for innovation to achieve the best results for his patients. As Mohnacky Animal Hospital’s Chief of Surgery, Dr. Djordjevich lends his surgical and medical knowledge to any case or doctor throughout the organization. Joining Mohnacky Animal Hospital (MAH) of Carlsbad in 1998, he has always been an animal advocate by supporting rescue groups and animal help agencies by assisting them in achieving their goals. Dr. Djordjevich is an avid soccer player and also enjoys playing tennis outdoors and table tennis in his spare time. He and his wife Gordana take pleasure in traveling, entertaining family & friends, raising their three sons (Nikolas, Sasha and Filip), and watching after Bubbie their Maltase bundle of joy providing endless comic relief to his family. Dr. Djordjevich is a member of the AVMA, CVMA and SDCVMA. He has a special interest in orthopedic surgery and advances in natural approaches to veterinary medicine. 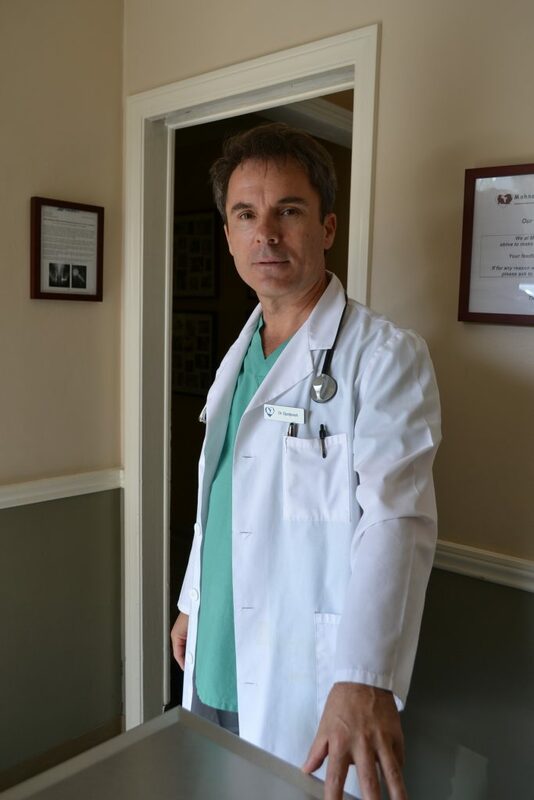 Dr. Djordjevich came to the United States in 1994 and with his love of this country, he became a citizen in 1999 continuing to work under the philosophy that “with many blessings come many responsibilities to give back”. Thank you Dr Djordjevich for all you do. Dr. Carly Bulliard joined Mohnacky Animal Hospital of Carlsbad on October 15, 2012. She is originally from Louisiana and attended the University of New Orleans for her undergraduate degree. Dr. Bulliard received her DVM from St. George’s University and performed clinical rotations in Perth, Australia at Murdoch University. She is a very positive person and oriented toward client service and satisfaction. Dr. Bulliard believes part of her job is to give clients the confidence that they have done the best job for their pet. Her hobbies include exploring the unknown, hiking, camping, fishing and, of course, taking care of the pets she and her husband have in their household. Her pets include Cypress, a Beagle/Terrier mix, and Shiny, a Jack Russell Terrier mix. 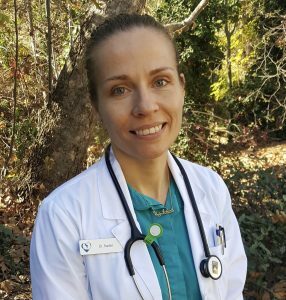 Dr. Kateryna Naderi comes to Mohnacky Animal Hospitals with over ten years of clinical experience. She’s supported laboratory research at her alma mater the University of Pennsylvania, served as a veterinarian in the U.S. Army (retired with the rank of Major), and practiced as an Associate Veterinarian in small animal practices across the states of Pennsylvania, New Mexico, Texas, and California. Her time in the Army deepened her understanding of the human animal bond, something she works tirelessly to preserve and nurture on a daily basis, while her life with her also-veterinarian husband keeps her grounded. Dr. Naderi’s professional interests include preventive medicine, public health, and soft tissue surgery. When not at work she enjoys spending time with her husband, gardening, road cycling, camping, and traveling. 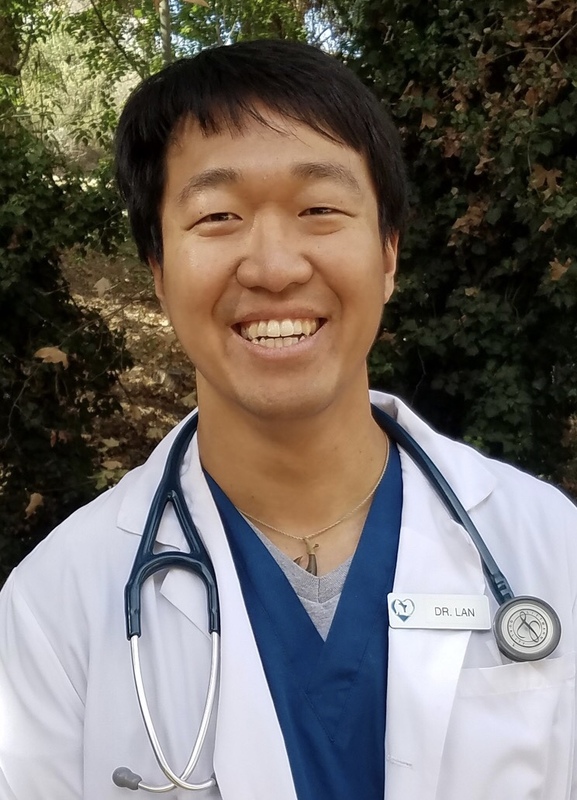 Dr. Joseph Lan grew up in the Long Beach area and recently moved to San Diego to pursue veterinary medicine. 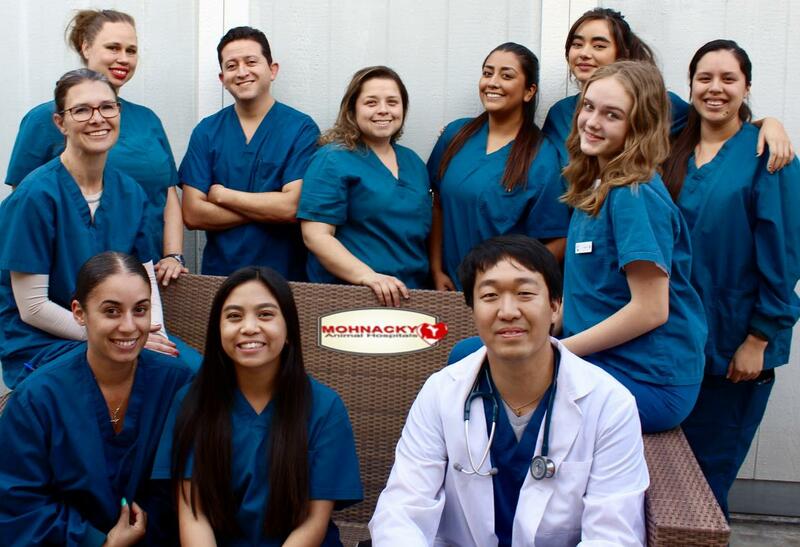 He graduated with a degree in Biology from Cal State Long Beach and completed his DVM degree in 2017 from Western University of Health Sciences in Pomona, California. Dr. Lan has a strong interest in exotic animal medicine (with an emphasis on reptiles and birds) and is happy to be involved in dog and cat medicine. In his off-time, he enjoys watching movies, playing video games, building enclosures for reptiles, archery and bass fishing. 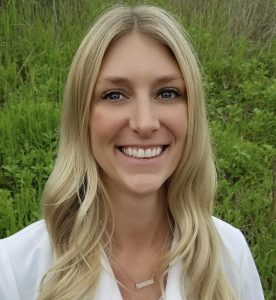 Samantha Souther, DVM, DACT is board certified in small animal theriogenology. Dr. Souther grew up with a passion for animals and wanted to become a veterinarian from a young age. Her beloved Cavalier King Charles Spaniel sparked her interest in reproductive medicine and motivated her to use her skillset to reduce the prevalence of genetic disease in pets. She received a Bachelor of Science in Neuroscience from Union College in New York and then graduated with honors from Western University of Health Science in Pomona for her DVM. She completed a residency in medical genetics, pediatrics, and reproduction at the University of Pennsylvania. Dr. Souther seeks to foster positive relationships between veterinarians and breeders in order to decrease the prevalence of heritable genetic diseases. She enjoys genetic counseling, breeding, pregnancy management, reproductive emergencies, and pediatric care as well as general practice. Her goal is to treat all her patients with love and the highest quality of medicine. In her spare time, Dr. Souther enjoys hiking, skiing, and rock climbing. Dr. Souther lives in San Diego with her husband and their fur babies- her 10-year old Cavalier King Charles Spaniel and two rescue kitties. Leah Stalker, RVT is Executive Director for MAHC and MAHV. Leah was born and raised in San Diego and currently resides in Fallbrook. Leah began working in animal nutrition in 2004 before moving to Iwakuni, Japan with her husband. While there, Leah took a job with the US Army Veterinary Corps treating military working dogs. In 2011 her family moved back stateside and she worked in a busy exotic practice caring for everything from birds to snakes to goats. 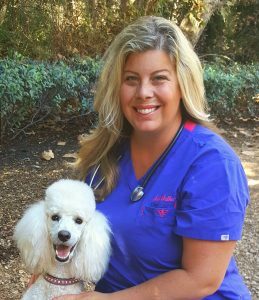 Leah also worked with a traveling orthopedic surgeon and veterinary practices of all sizes, while providing relief services to hospitals in both San Diego and Riverside County. 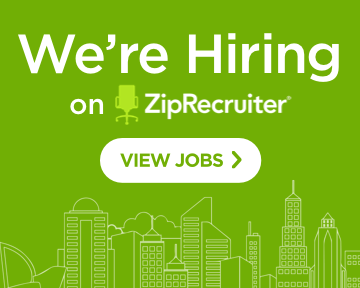 Leah has a passion for riding horses and has been doing so since the age of two. She has traveled to nine countries and looks forward to seeing the world. In her spare time Leah enjoys interior decorating, riding, hanging outside with her chickens and standard poodle “Daphne” as well as spending her time with her daughter and husband.